I was thinking the other day as to what I could do as a simple project – something that isn't covered in the class, yet something that can very quickly generate a wide range of patterns just by experimenting. Chevrons sprang to mind. 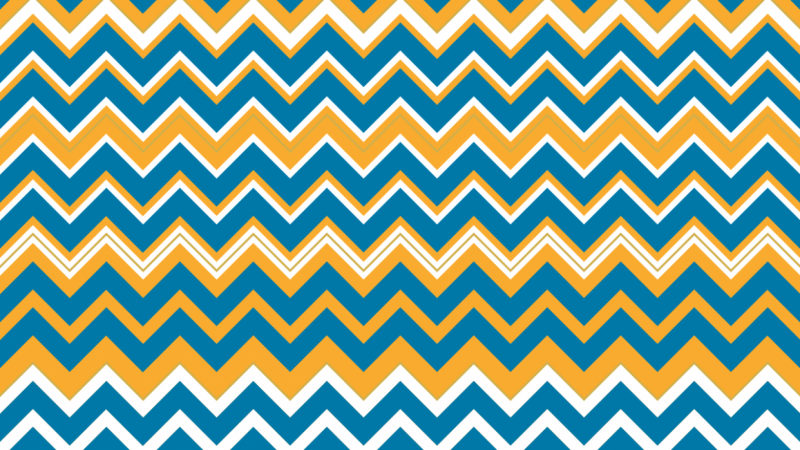 So I set about using one of the grids to generate some chevron patterns. To do this I rotated Grid-03 forty five degrees and started with a pair of chevrons that align with the grid. The thickness of the orange to white lines is the golden ratio ( 1.618 : 1 ). So if you are getting bored with standard equidistant chevron patterns, it's time to spice things up with the golden ratio. The permutations seem endless, asymmetrically spaced, and yet still harmonious. With a little imagination and a willingness to explore, these golden ratio grids can become a springboard for your creativity. If you make some happy mistakes on the way, as I have done above, it just adds to the fun!